The Bean bags are CE qualified and makes them a perfect plaything for your babies and kids (safe for all ages 0+). The Bean bags has got bells inside their arms to make playing fun and amusing. They are also comfortable to sit on or just to hug. PRODUCT INFORMATION Material: Crochet. Shell: 100% Cotton. Interior: 100% synthetic wadding and bean bag filling. 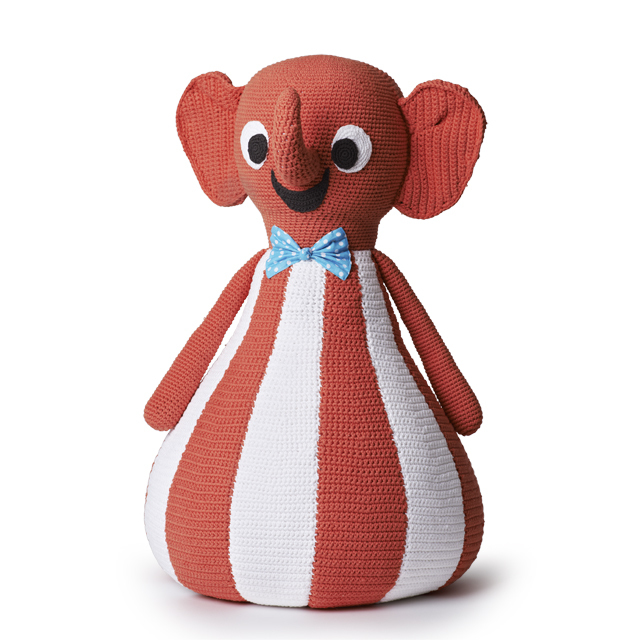 Origin: Designed in Sweden by Camilla Lundsten for Littlephant.